I watched the informercial for P90X for the first time about a year ago. I didn't pay to much attention to it until I kept reading questions about P90X and it's possible results on several different health, fitness and weight loss related websites and forums. So I decided to take an in depth look at the P90X program and give my professional opinion on it price, the workout methods and possible results. I always appreciate product reviews, so hopefully my P90X review helps you make an informed purchase. The first thing I noticed as I reviewed and looked over some of the P90X workout videos is the glitz and glamour. There's a bunch of fitness models in the background exercising. The fitness models are performing the P90X routine while a timer is running in the video. The P90X host and former comedian and actor, Tony Horton, is talking during the workout in an attempt to be inspirational and motivating. The studio also gives it a nice touch with the fitness props in the background. While it's nicely produced, I wonder if what you're paying for is substance and content, or the glitz and glamour of the video production. The P90X program is sold for $139 plus shipping and handling. While it's a decent workout program, I don't think that it's worth $139. I believe the price tag is that high because of the production and marketing of the program, rather than the worth of the information. You have to keep in mind that all those models have to be paid, the video production team has to be paid and the P90X production team has to pay to rent and set up the set. The marketing and promotion of the P90X workout video program also costs money. The reality is, all these costs have to be passed on to the consumer. At the end of the day, you end up paying for the glitz and glamour of the workout videos, more so, than the actual content and benefits of the workout program. The P90X program is a three month program. While the results of the models they use in the infomercials look impressive, I've seen similar and better results on shorter programs, including, but not limited to my fat burning, Fat X Program. I'm also wondering why P90X chose high repetition training as their foundation, when lower rep, high intensity training has been proven to stimulate lean body tissue (muscle) and your metabolic processes much better. Research has proven that high intensity (in respect to one rep max) low rest workouts produce a long lasting fat burning effect known as the afterburn effect, or EPOC (Excess Post-Exercise Oxygen Consumption). P90X, with their low intensity (in respect to one rep max) high repetition and small muscle group training fails to take advantage of the afterburn effect. 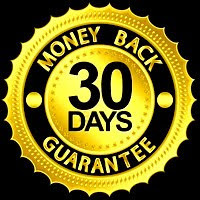 If money and time are not an issue, then the P90X program would be something worth taking a look at. Any exercise is better than no exercise. If you don't mind strictly adhering to a workout and diet program for three months to achieve results, purchase P90X. 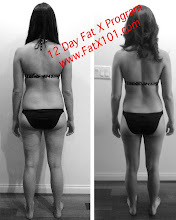 Otherwise, I would definitely suggest my 12 day Fat X Program to get better results faster, or you might want to take a look at one of my affiliates: Fat Burning Furnace. I hope my P90X review helps you to come to an informed decision. I would also suggest that you take a look at other P90X reviews, but be careful that they are not biased and written by an affiliate, or a "Beachbody Coach". Amazon is a good place to check out reviews on P90X.